Take role of railway manager and build your railway empire! Ah, trains. Who among us never dreamed of becoming a train driver or conductor to watch the world from the train windows. But have you ever wondered what it would be like to be the CEO of a large railway company, creating new connections, buying new locomotives and managing your own train station? If so - you've come to the right place! Welcome to Rail Nation. Rail Nation is a free strategy game available in the browser window. 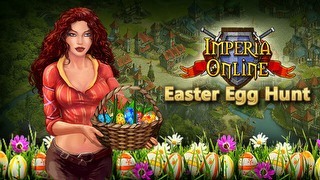 Well known gaming company, Travian Games, is responsible for the release of this production. We will play here as a young businessman who takes his first steps with his own rail business. However, do not be fooled by the pleasant setting of production. The railway world is not as simple as it looks. We start the game by choosing the region of the world in which we will create our railway empire. Producers have prepared different scenarios depending on the country we choose. Remember that appearance of the map, some of the available machines and technologies will vary depending on that choice! When we finally decide, we will only have to create our avatar and choose homecity, which will define our future location in the railway �war�. The proper game and its mechanics will be introduced by a non-intrusive, intuitive tutorial. It will definitely help in the further game so it�s worth not skipping it. The appearance of the tutorial also depends on the choice we made at the very beginning of the game. Even if the basic mechanics are not too complicated, learning them will definitely speed up the process of building our �power�. Rail Nation offers quite impressive map. Due to the variety of scenarios, we all can see familiar sounding names for specific locations. For example in Polish setting we can see: Chomiczniki, Bielnica, Mieszajowice and so on. We will � of course � send our locomotives to transport various goods such as wood, steel, cattle or pharmaceuticals between those cities. As we progress, we will also go through next, historical eras of railway development. Because of the strategic aspect of the game, Rail Nation also allows us to expand our own railway station. Therefore, we will observe the development of our company, which will eventually become a real pearl of the train industry. To even think about this, we will have to visit the tab titled "Research" quite often. It is where we develop the technological aspects of our trains as well as the station itself. It is worth planning what we will invest research points on � strategy is the key to success, because getting them in the later stages is not that easy. Game developers - Bright Future studio - took care of the historical and technical aspect of their production. One of the game features are incredibly designed, realistic models of locomotives, the number of which is really huge. Each machine has its own unique parameters: train strength, reliability and speed. Unlocking further machines provides a lot of fun and satisfaction when we finally achieve it. In addition, we can improve them with subsequent innovations based on technological progress (I wrote about research a bit earlier). What is more, thanks to games multiplayer character, Rail Nation has a lot of competition and cooperation aspects between real players. The associations (something like guilds or clans known from other games) play a significant role here. The game � as it generally in titles based on the Free2Play model is - also offers the premium currency - Gold. This currency allows you to speed up the expansion of your company, but with a little patience we can achieve everything without premium. The producers efficiently prevented the game from becoming Pay2Win title. Valuable prizes (including Gold itself) can be gained even by daily logging-in and participation in the in-game lottery. Thanks to the fact that Rail Nation is browser game, you can enjoy it on almost any computer with Internet connection. And it does not make the game look like the titles from the previous era. It�s quite the opposite! Pleasant graphic design and perfectly matched soundtrack makes the production really enjoyable. The Bright Future studio production will certainly not only interest trains fans, but also players who are into good strategy games. The unique setting of the Rail Nation is something completely fresh in this type of productions. Being a part of further railway eras should provide you hundreds of hours of fun. So, all abroad the train - the virtual tracks are waiting. Do not forget to take care of the condition of your trains. They have to be repaired at time to time.